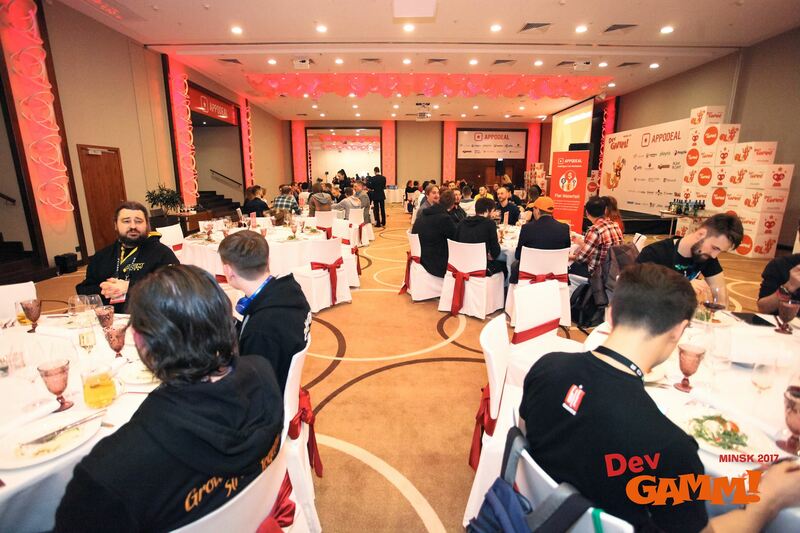 Only a few days ago we finished DevGAMM conference in Minsk. In total 1700 people from 36 countries attended the event. 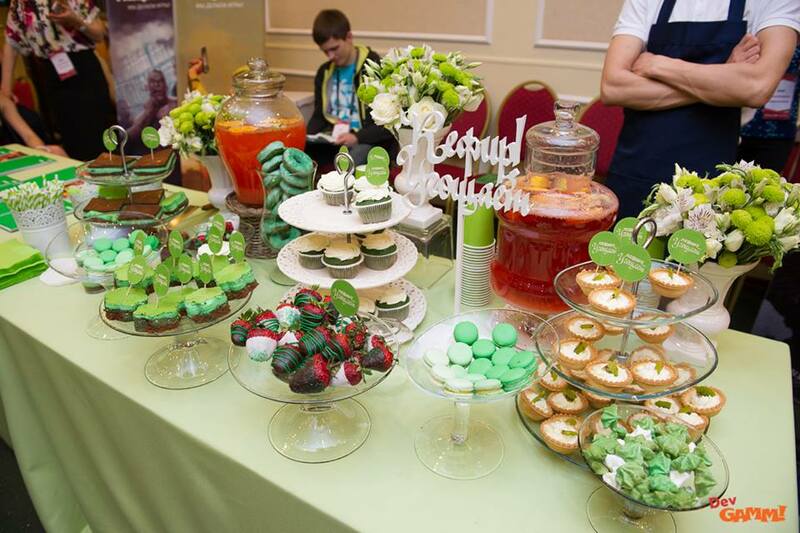 This year the location was much bigger – Minsk Marriott Hotel and the adjacent Sports & Entertainment Complex Falcon Club. We got more space for our activities. For instance, one part of the conference was used only for speakers’ talks, the other one for showcase area. More space = more opportunities. We gathered lots of warm memories which we would like to share with you. 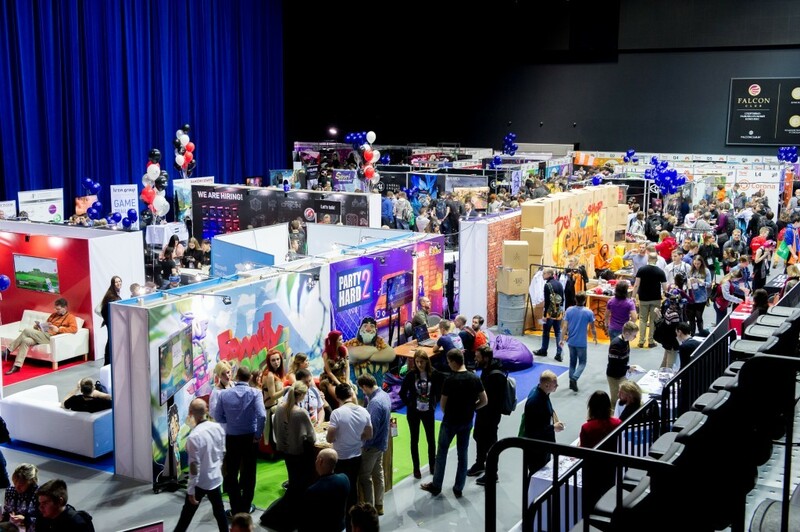 This year there were over 80 sessions that were spread between 7 halls (!) and lots of workshops, discussion panels, where all the participants could find some useful information and learn different aspects of gaming industry. 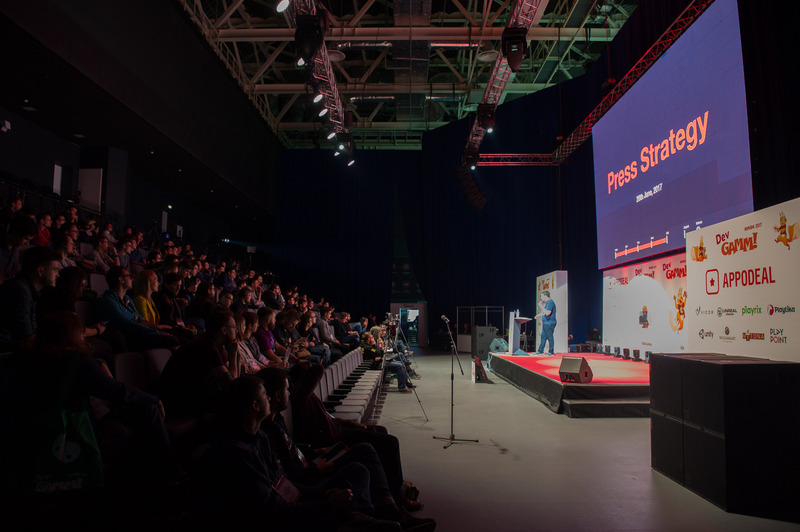 All the conference talks were also divided into such tracks as technical, game-design, Esport, marketing, mix, audio, indie, art. Technical sessions dedicated to Unity and UE dominated other topics. While game design track touched on level design of Battlefield 1, game mechanics patterns, procedural generation and much more. Moreover, this year we organized an awesome marketing track with the representatives of such platforms as Google, Facebook, VK, Twitter, Httpool, Ok.ru. This year we had a super speakers lineup: Zacariah Litton (Telltale Games), Ilya Golitsyn (Guerrilla Games), there were also talks from the creators of Gears of War (Rob Auten), and Clive Barker’s Undying (Dell Siefert). 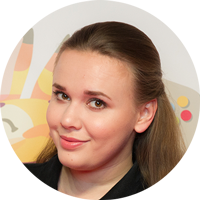 Moreover, such speakers as Sylvain Cunzi, Alex Moyet, Mike Bithell, Jon Carnage, Linnea Harrison, Mike Hines, Alex Rose, Igor Klyukin, Alisa Chumachenko shared their experience with all the attendees. 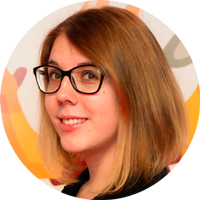 The program of DevGAMM Minsk was really intense, the participants had a really nice opportunity to talk with the representatives of the platforms. One of such events was special meetings with iOS experts – iOS One-to-One Game Review. During 30 minutes the participants showed their games and got feedback on their preparation for the App Store release. Everyone who signed up for Google SpeedDating beforehand could meet with the representatives of Google and ask all the questions. 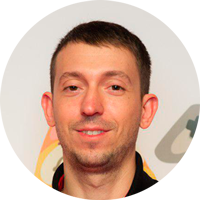 Moreover, on November 17 there were 2 workshops: Vsevolod Shmyrov touch on the creation of a real-time network HTML-game in the browser, and Aleksei Kliuev, Pavel Lepeev from Samsung showed how to optimize Android applications for the desktop with the help of Samsung DeX. By tradition we organized Unity Certification where each participant could confirm their knowledge of Unity during a special exam. Our traditional activity Speed Game Dating was on top. Developers had an opportunity to show their games to the majority of publishers in just one hour and get their contacts. There were 2 streams of SGD: mobile and desktop. 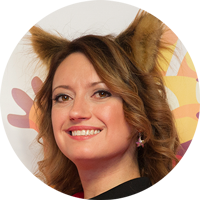 Among the publishers were representatives of Telltale Games, tinyBuild, Mail.Ru Group, 505 Games, Wargaming.net, 6waves, Zeptolab and other big companies. One more important matchmaking tool was Pitch&Match that helped the participants of the conference to arrange the meetings with speakers or the representatives of the companies. During all the preparations for our conference we didn’t forget about partiesssss. This time we have a longer list of parties. Let’s start from the beginning. 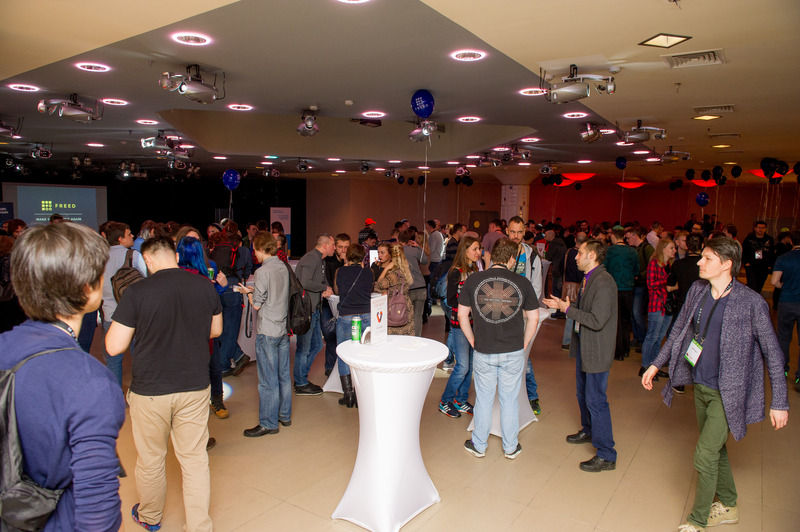 On November 15 everyone was invited to the club restaurant Orion for Pre-party from our sponsors of TVX Games, where you could pick up the participant badges in advance, smoke a hookah, and also listen to the performance of DevGAMM Band. This was a great way to get to know the participants in advance. After the first productive day of the DevGAMM conference, an official party from Unreal Engine to Cotton Hall opened to all visitors. 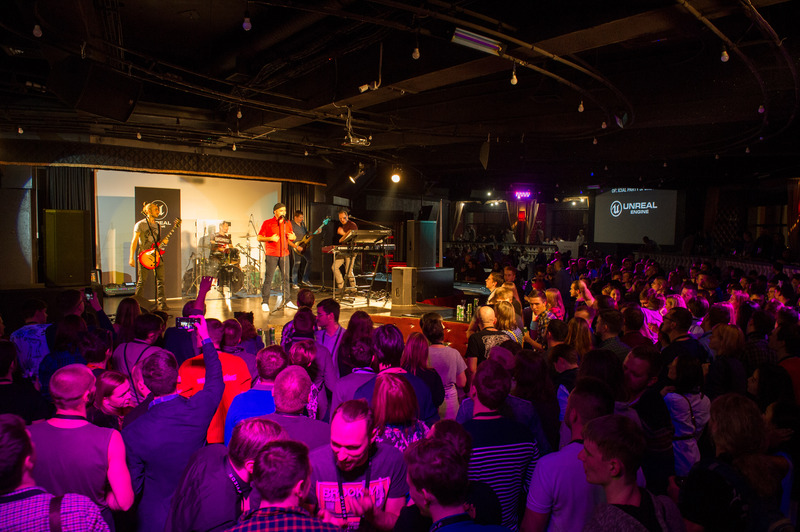 The attendees enjoyed free bar, unlimited food and fiery Minsk Sea band while taking an insane number of selfies in a photo booth. The bye-bye mingle from MyTona was a final part of the event. 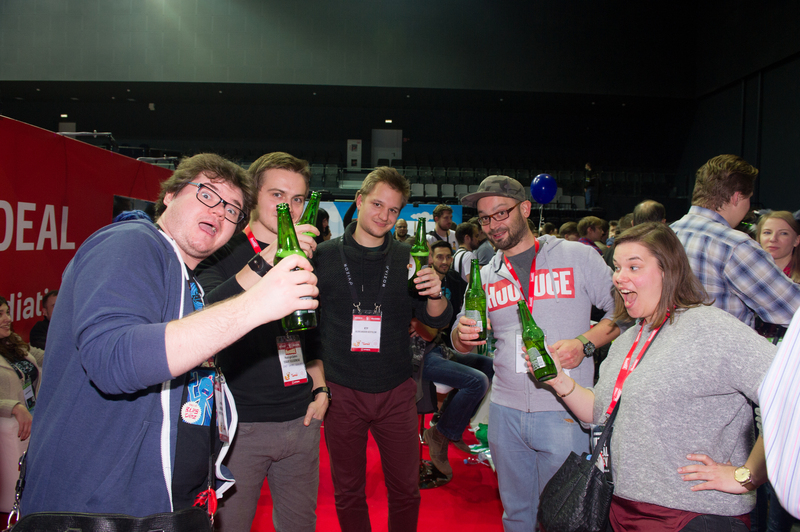 All participants had a chance to chat, drink beer and share their impressions of the conference, exchange contacts and hugs. Speakers Dinner by Appodeal falls into a separate category. The speakers had a nice chance to communicate with other colleagues, gaming industry professionals, while having a tasty dinner. This year we organized a super huge and awesome showcase. It was located in Falcon Club and divided into mobile, desktop, and VR games. The projects were showcased during the whole conference day but not three hours as it was at our previous events. In total 116 games were showcased during two conference days. 11 VR, including Tesla Suite, 42 mobile, and 63 desktop. 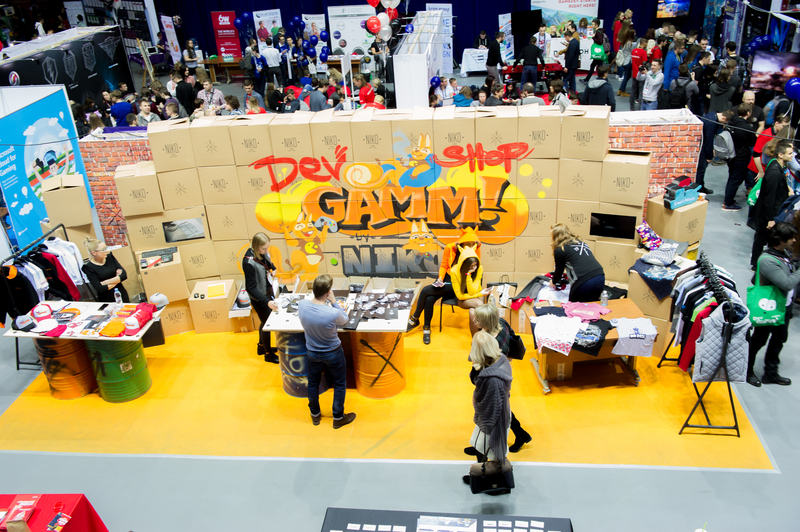 Each showcase participant designed their booths according to their game’s idea. The most creative were Sky Haven from Real Welders, PUSS! from teamCOIL, and Insatia from Insatia Team. We should also highlight PvP VR game the Tavern of Magic от Gnamics where two players can play the game simultaneously, and VIR / The Gallery of Virtual Reality which showed VR movies and gave workshops for VR artists. But that’s not all. For the first time ever (!) Tesla Suite showed their full body haptic VR suite. 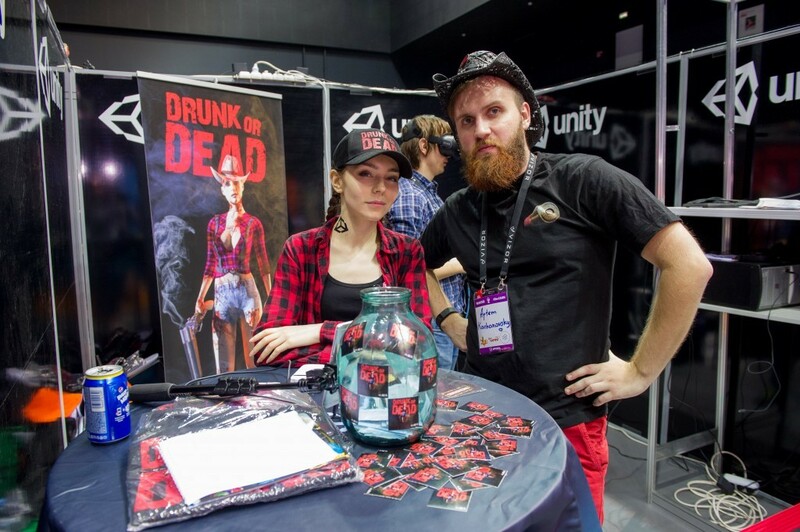 The attendees had the chance to try it on and play the first-person shooter Drunk or Dead. 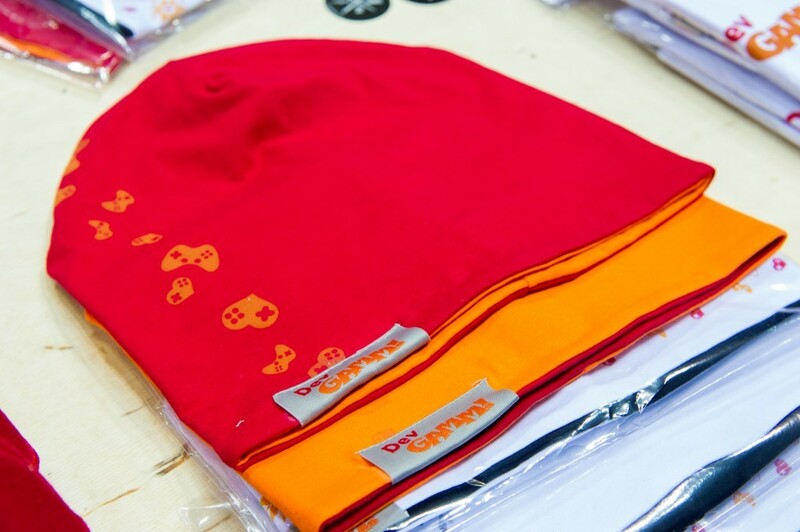 After each DevGAMM conference we want you to get more cool stuff. 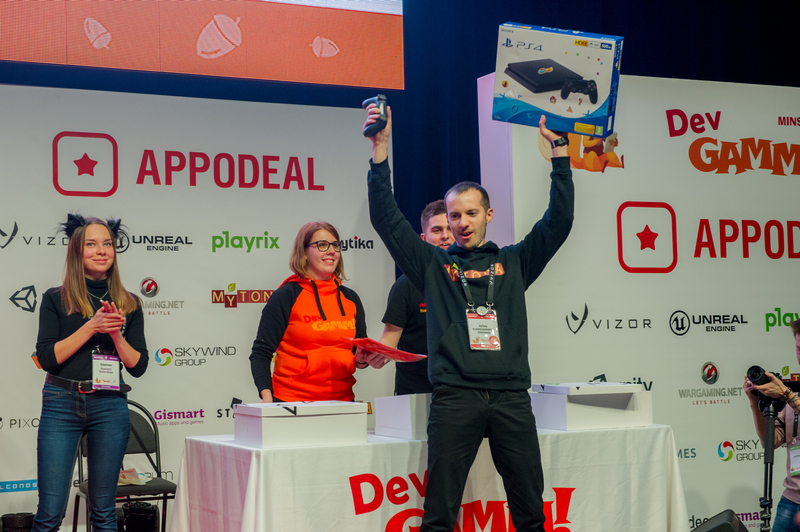 At DevGAMM Quest everyone could win lots of cool prizes from our sponsors. 308 people participated in our quest. Weare sure that all of you spent a great time and got lots of nice impressions. This year we raffled: FIBRUM PRO from Fibrum, Apple AirPods from Gismart, Nintendo Classic Mini: SNES from Polygon, Kindle Fire from Amazon, Nintendo Switch + DOOM from Appodeal, iPhone X from MyTona, Powerbank — 4 items from Stark Games, JBL EXTREME from Strategic Music, Mijia M365 Xiaomi Electric Scooter White from TVX Games, Thermal mug from Unity, Instax Wide 300 from Wargaming and much more. 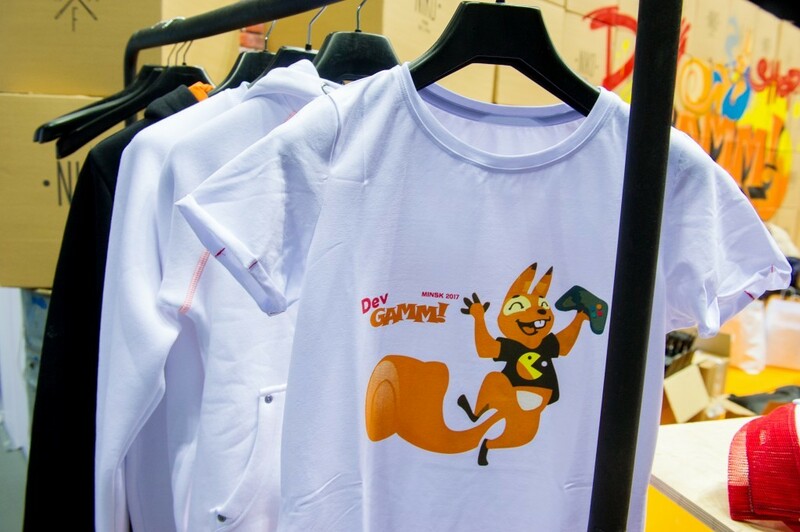 This year we joined forces with Niko, our promotional partner, and organized a big store that was located in the sponsorship area of ​​the Falcon Club. The participants had the chance to buy such branded products as T-shirts, hoodies, sweatshirts, buffs, and cups. All that swag will remind everyone of the DevGAMM Minsk 2017. We’re really grateful to all our sponsors for creating lots of activities on the booths for our attendees. 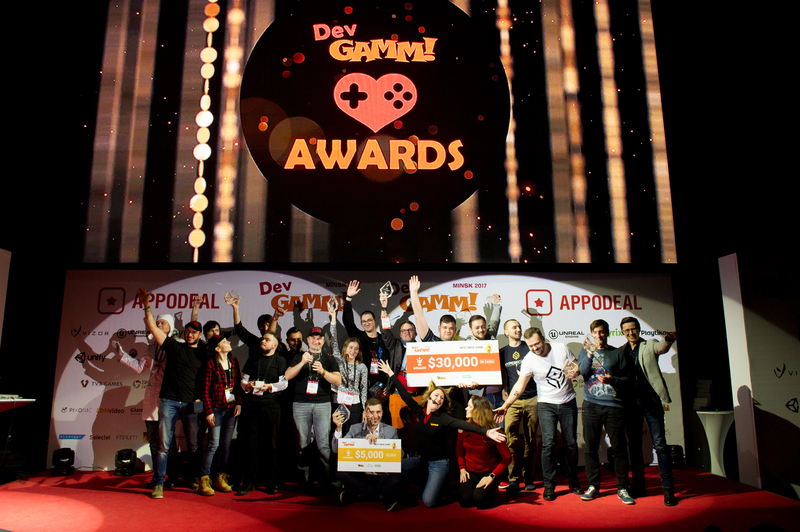 Thanks for the support to Appodeal, Vizor Interactive, Epic Games, Playrix, Playtika, Unity Technologies, Wargaming, MyTona, PlayPoint, TVX Games, Skywind Group, Microsoft Azure, and other sponsors. 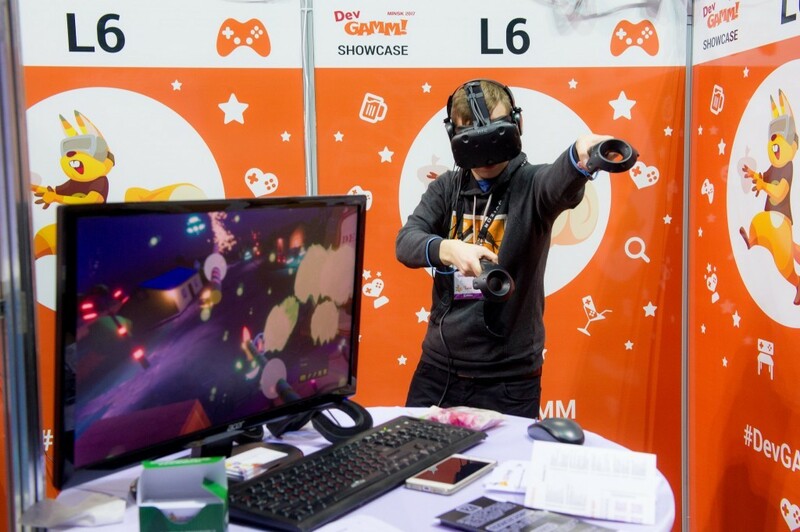 The sponsors’ booths were full of different activities and prizes: flip book from Playrix, shell game from Wargaming, where everyone could win candies, thermo cup, Samsung Gear S3 Frontier. TVX Games invited a real balcksmith who gave conference attendees an opportunity to forge freedcoins (Freed – TVX Games). And at Microsoft booth P10 everyone could try out Mixed Reality. Vizor Kids who are learning game development also visited our conference to playtest the showcase projects. 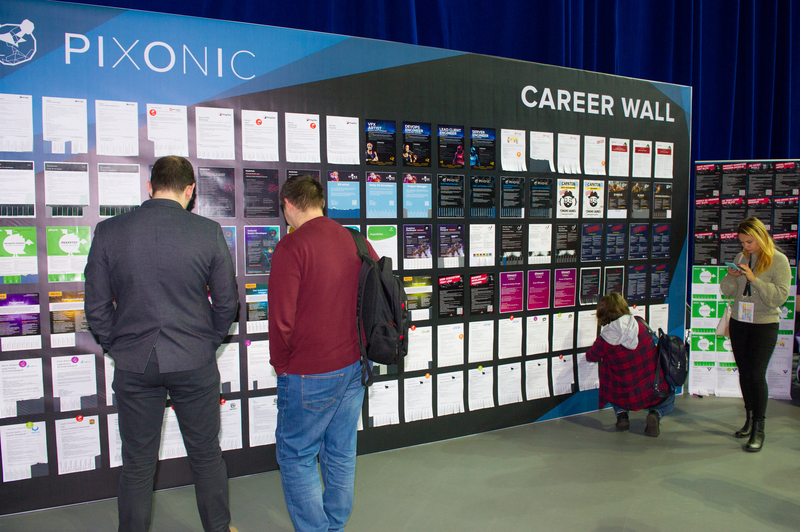 Also, we didn’t forget about our traditional Career Wall which included 150 job offers from the leading CIS companies and from other regions. Career Wall was sponsored by Pixonic. HR Partner – VALUES VALUE. Our crazy event Game Lynch never ceases to amaze. Let’s just remember Alex Nichiporchik‘s fight with John Carnage. It’s impossible not to mention Nikita Kulaga‘s costume and the video review of the first VR game from Michael Kuzmin. This year, experts and developers were pretty prepared for their speeches. We also invited barman who prepared a special mix of alcoholic drinks for all the losers. It was epic! 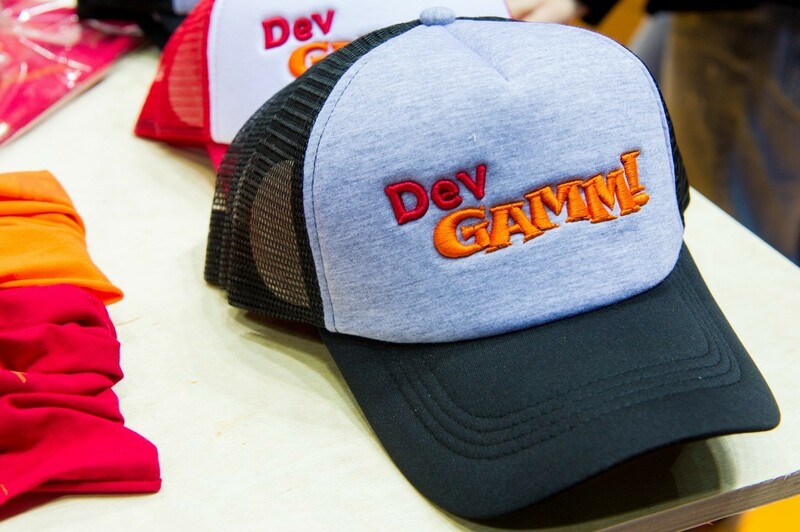 We have done a tremendous job so that you could finally enjoy the amazing two days of the DevGAMM conference in Minsk. 1 500 000 hours without sleep, 20 005 hours without food were not wasted! 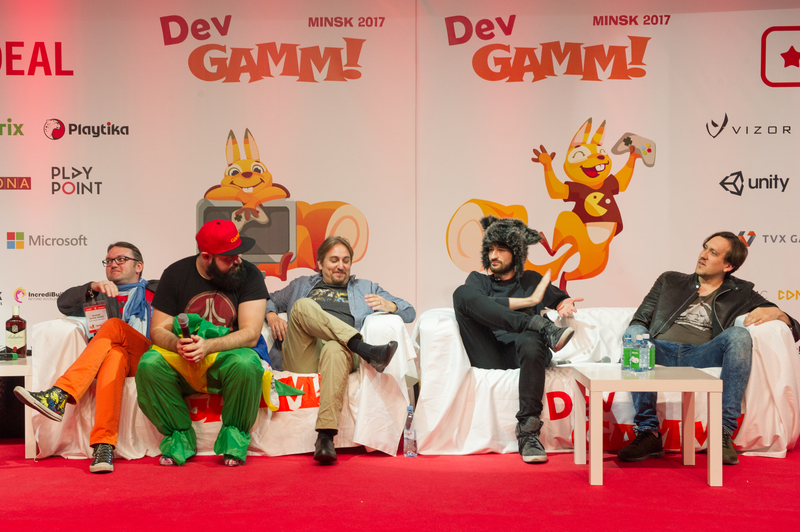 Huge thanks to all the speakers, moderators, advisers, sponsors, volunteers, the press and all participants who visited DevGAMM Minsk 2017. With your help the conference has its own unique atmosphere! 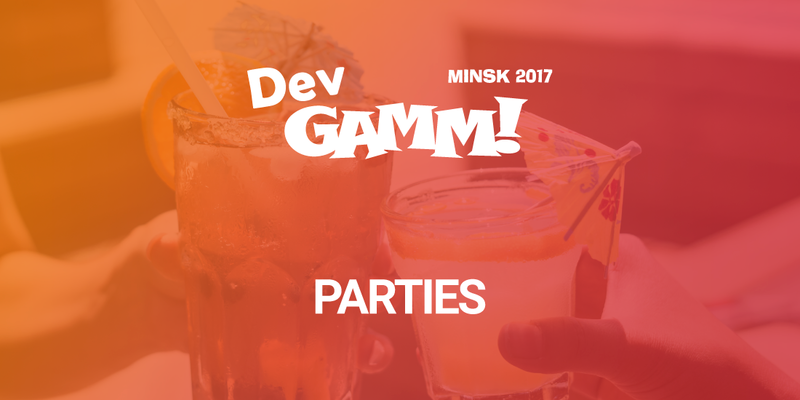 After many years DevGAMM finally returns to Kyiv! We are waiting for you on February 1-2 in the Cosmopolitan Congress Hall. The place is limited, and registration will be closed at around 1000 people. Make sure to buy a ticket beforehand, there might not be any left on the last day. Call for speakers is open: if you have an experience that you want to share, submit your talk. Tickets are already on sale! The early bird price of 59 dollars will be valid until December 22.